Summer is here and to show off your toes in nicely decorated flip flops is a must. 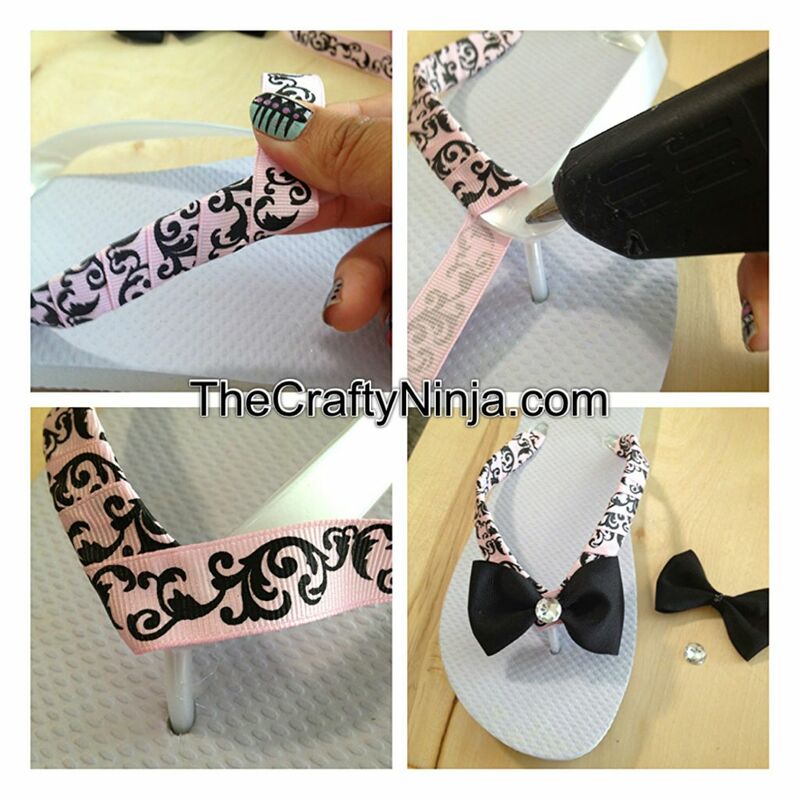 All you need to start is some plain flip flops, ribbon, and embellishments. Check out my other DIY Leopard flip top tutorial. Supplies needed: Plain Flip Flop, Rhinestones 14mm and 7mm, Hot Glue Gun, Glue Sticks, and 2 1/2” wide Ribbon and 5/8” wide Ribbon. I first began by protecting my work space. 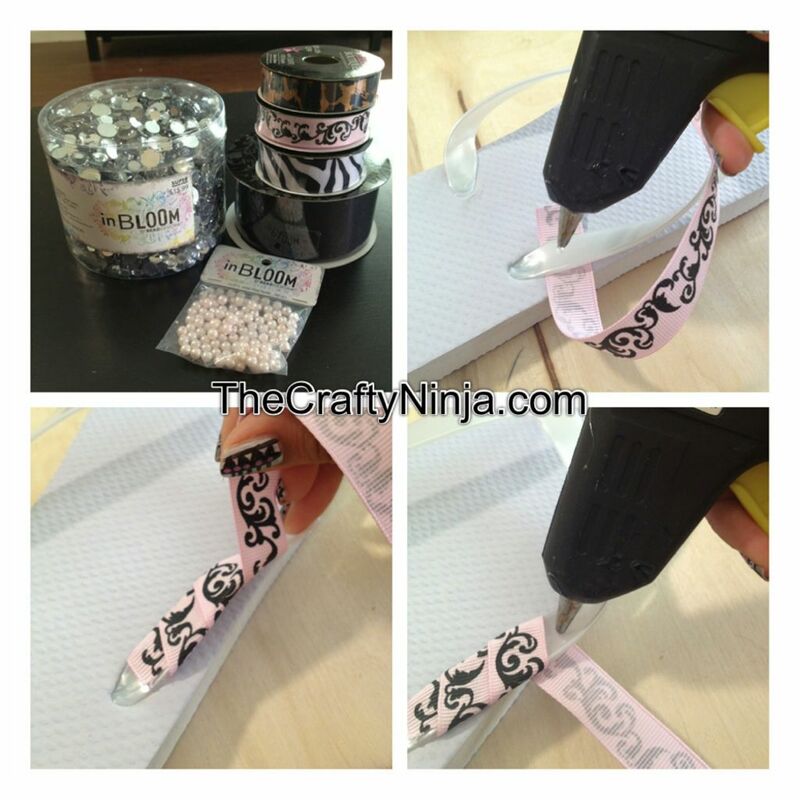 To start using the Hot Glue Gun and Glue Sticks glue the 5/8” ribbon (about of yard) to the flip flop from the base. Be careful not to burn yourself, and please be safe! Start wrapping and gluing, repeat. When you get the the toe insert, glue the ribbon across to cover, then began wrapping and gluing until the base. To make the bow I used 2 1/2” wide Ribbon, check out the Ribbon Bow tutorial here. Glued Rhinestones 14mm and 7mm, on the center of the ribbon and long the sides where I wrapped the ribbon. You could add other embellishments such as Sliver Beads 6mm and Pearl Beads 4mm. 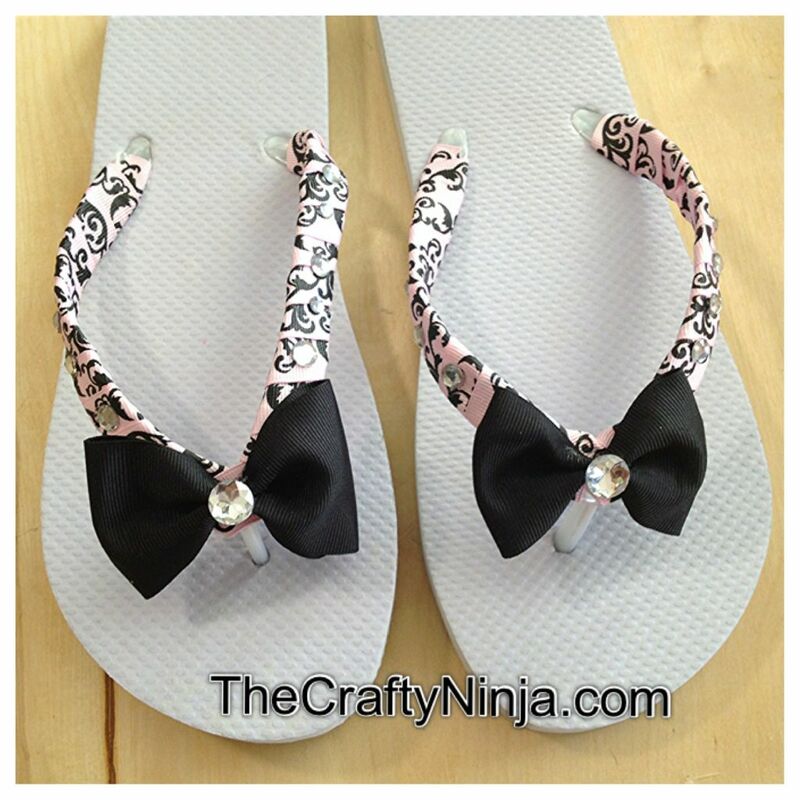 Enjoy showing off your feet in these cute decorated flip flops!